The Isle of Man is an off-shore centre, we all know that, but we don't all realise how many companies work within that industry. 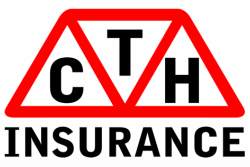 CTH do know and we have an incredible variety of existing customers benifiting from our advice and Insurance solutions, in each case, tailored to their needs based on relevant discussions. So, even if you don't think you're operating within the "Finance" world, the chances are your customers or suppliers are. Why not benefit from the same advice they receive?